Many of you have probably taken a test or done some type of group activity where you had to identify whether an image was a rabbit or a duck. 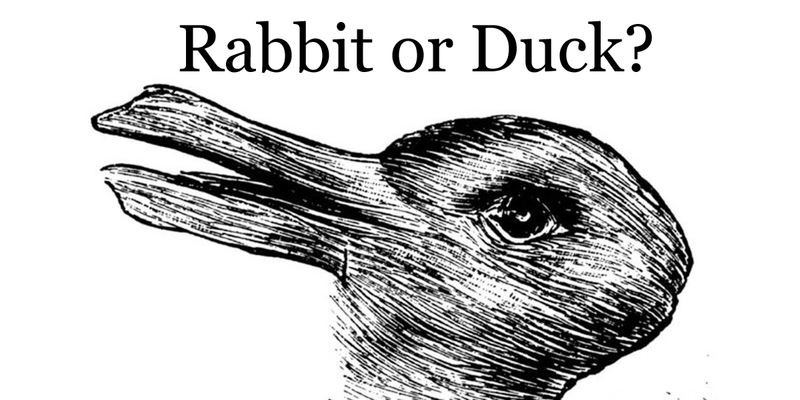 If not, can you identify both the rabbit and the duck in the image? While this may seem like a silly exercise, there is a time when an accurate and complete picture is very important as we will discover in this weeks Explore the Bible Study: Incomplete Picture. If we experience an incomplete picture of the gospel it could lead us and possibly others down a path resulting in a very confused faith or even no faith at all. Acts 18 and 19 introduces individuals who had an incomplete picture of what it meant to believe in Jesus Christ. Fortunately for them, God brought to them a couple, Priscilla and Aquila, and the Apostle Paul to help them understand more clearly the picture of salvation. As you prepare to teach this session be sure to check out the discussion questions and secondary verses included in the teaching helps. I believe your group has a great opportunity to enter into a deep discussion regarding the importance of understanding that there truly is only one way to be saved, how baptism fits into that picture, and the work of the Holy Spirit in the believer's life. I highly recommend you listen to the following audio sermons to gain a better understanding of all that is unfolding in Acts 18:24-26 and Acts 19:1-7. I would fast forward the audio of John MacArthur's sermon to the 25:00 minute marker. This is where he begins his exposition of Acts 18:24-26.